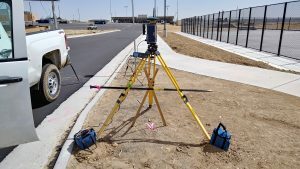 Services – Falcon Surveying Inc.
A Topographic Survey shows all the features of a piece of land and includes elevation information in the form of spot elevations on critical features and contour lines on the site. This information is valuable for design of improvements as well as for drainage and earthwork volumes. An ILC “Improvement Location Certificate” sometimes referred to as a mortgage survey shows all of the obvious improvements on the property in relation to the boundary. It is usually requested by the lender and paid for by the buyer of residential property. This is the least expensive of all surveys and should not be relied upon for the placement of fences or other improvements. A Land Survey Plat is a map made from a Boundary Survey that shows property lines, easements of record, The type of monuments set at the property corners and any encroachments or conflicting boundary evidence. An Improvement Survey Plat is similar to the Land Survey Plat but it adds all the Improvements on the property such as buildings, roads, fences, walls or utilities. This survey is very useful when you are planning new improvements. A Subdivision Plat shows the boundary information of a group of lots that are being created from a larger parcel of land. This plat is recorded with the county and is used for the legal description of the lots that are being created. An Improvement Survey Plat (ISP) is similar to the Land Survey Plat but it adds all the Improvements on the property such as buildings, roads, fences, walls or utilities. This survey is very useful when you are planning new improvements. 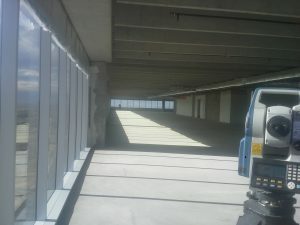 Alta Surveys are usually required for commercial real estate transactions by title insurance companies. 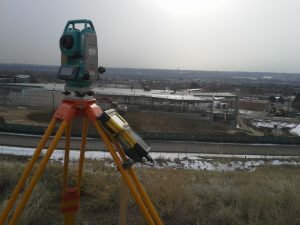 They are performed to standards prepared and adopted by the American Land Title Association and the National Society of Professional Surveyors “ALTA/NSPS”. The surveyor uses the current title commitment policy for the legal description and any easements, which may affect the property. When ordering an ALTA Survey you should fill out table “A” so the surveyor is clear on which additional items need to be addressed.This is a very comprehensive survey of the property and gives every one involved a clear picture of what is being bought and sold. Need a survey? 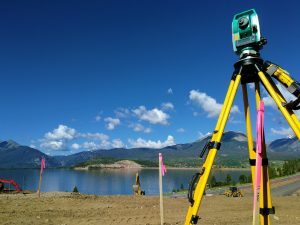 We offer topography, boundary, ALTA surveys, subdivision plats, condominium plats, test well location, flood plain certs and construction staking. Request a quote and we will get right back to you.